The Karitek website has a new look - clean, fresh and enthusiastic (like us!). But don't worry, our aim to give you the very best customer service in all things kayaking is unchanged. Welcome to the Karitek website. Sea kayak shop. Kayak roof racks for cars & vans. New sea kayaks and paddles. Boat trailers. Canoe & kayak storage racks. Our shop will be closed on Friday 12/04/19. We are delighted to bring you a range of Páramo outdoor clothing - men's & women's waterproof, windproof garments and baselayers. Whetman Equipment products are now arriving at Karitek. Great award winning kit which does the job - now in stock - waist tow, map cases, contact lines, Throw Tows. We recently ran a caption competition for this great photo sent to us by Neil Bennett. The Easy Load kayak roof rack and the High Lift version for vans. 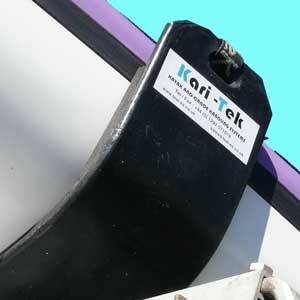 Kari-Tek's roof rack cradles provide the best support for your precious boats. 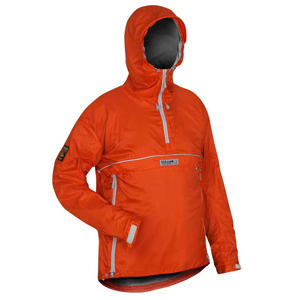 Kari-Tek's latest addition - Páramo outdoor clothing - men's & women's waterproof, windproof garments and baselayers. Welcome to the Karitek website. 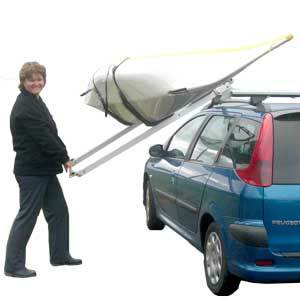 We manufacture the kayak roofrack - the Easy Load Roof Rack, the High Lift roof racks for taller vehicles, kayak and canoe cradles, folding trolleys, webbing straps, portage straps. We also make canoe and kayak storage racks to your requirements. We developed the highly acclaimed Kari-Tek range of sea kayak skegs - available as retro-fit kits or as an option in new sea kayaks purchased from us. Visit our online shop or our Ayrshire showroom for all your kayaking gear. 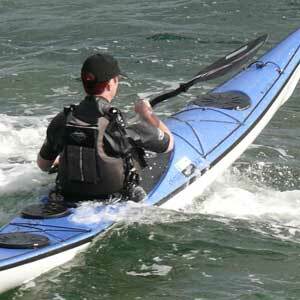 We sell a range of sea kayaks: we're Scotland’s sole agents for two of the most popular and well respected kayak names in the UK today: Sea Kayaking UK, sea kayaks designed by Nigel Dennis and Rockpool sea kayaks. We also supply P&H sea kayaks and Werner paddles. Our extensive clothing and kayak gear features a great range of Reed Chillcheater specialist kayaking gear and world class Páramo Outdoor Clothing. We are also the only UK Pro Dealer for Kajak Sport accessories. We also organise the annual Mid West Sea Kayak Symposium in Tayvallich, Argyll. Check out the symposium website here for more details.